Recent research by TBG Digital revealed that the number of paid brand advertising campaigns rose 104 percent in Q2 compared to Q1. Clickz.com reported the details on these Facebook findings. The fastest-growing marketing sector in Facebook advertising was retail with 36 percent of all impressions, followed by finance and credit card campaigns. The segments of jobs and education also made great gains. In terms of conversions, the study showed a 435 percent improvement when brands targeted existing fans or likes in comparison to when they did not. Conversions were defined to include everything from registering for loyalty cards to responding for events and purchasing. 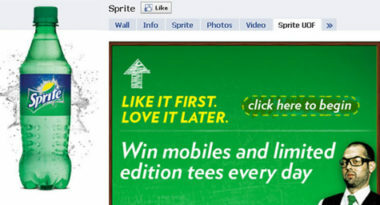 “Brands and advertisers are realizing the huge potential Facebook offers to run highly targeted campaigns. This also demonstrates the tremendous difference it makes when your target audience has already expressed an interest in your brand,” said Jeff Cohen, director of social media at MDG Advertising. But the greater potential for brand success comes at a price, with Facebook CPM rates rising 45 percent in Q2 over Q1, and cost-per-click soaring 74 percent. This shows that Facebook is boosting its own brand as much as it’s building others. Read more about brand campaigns on Facebook.